Atlanta Hawks' Dennis Schröder is not just in the game, he’s on the cover! I guess most people would have expected Dirk Nowitzki to land the German cover, but it appears that the torch is being passed to the 22-year old point guard. 2K Deutschland tweeted a cover image with Schröder rocking the throwback jersey the team wore during "'Dominique Wilkins Night" in the 2014-15 regular season. “We are very proud of him. 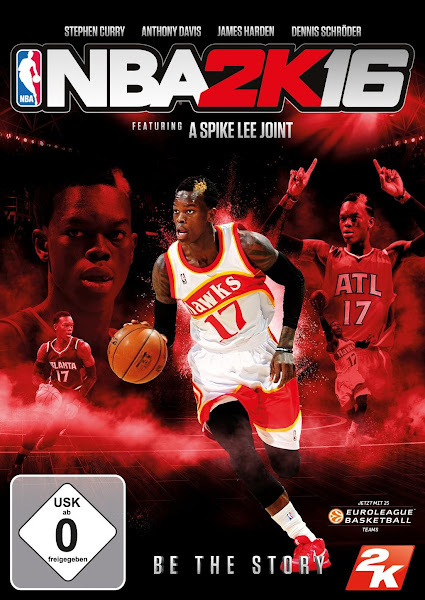 For the first time in the history of NBA 2K a talented player from Germany will be featured on the cover.”, said Stefan Eder, Marketing Manager of 2K Germany. 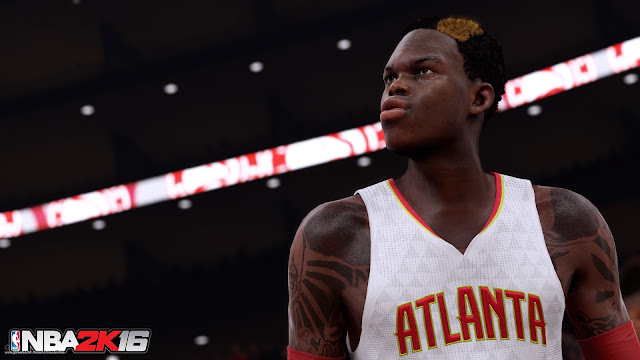 2K Sports recently released a screenshot of him sporting the new home white jersey of the Hawks in NBA 2K16. You can check it out below! NBA 2K16 launches on September 29, 2015 for PlayStation 3, PlayStation 4, Xbox 360, Xbox One and Windows PC.